This page is about Microsoft SQL Server, all Versions, from 2000, 2005, 2008, 2012, 2014, Azure, Express and Compact. You can find resources to non-Microsoft database platforms at this page. Introducing SQLHunt.com, the MS SQL Server Resources Meta Search Engine, powered by Google Custom Search Engine, searches the content of all sites where this resource page is linking to. Excluded from the search cluster are none-MS SQL Server related sites, which are referred to at the end of this page (sorry). Microsoft SQL Server Developer Center on MSDN - An excellent resource for SQL Server database developers is the SQL Server Developer Center, which focuses on data-centered development with SQL Server and features interviews with prominent SQL Server team members. Purchase SQL Server Licenses - Product Information - Microsoft SQL Server Home Page. This comprehensive window into everything SQL Server contains links to Webcasts, technical documents, and customer implementation studies that can help you get ready to upgrade to SQL Server 2008. And watch for information about the new SQL Server 2008 Upgrade Advisor download. Visit the Upgrading to SQL Server 2008 Homepage at the Microsoft Website. Make the move to SQL Server 2008 to open up new possibilities and opportunities for SQL Server administrators, developers, and information technology (IT) decision makers in both enterprise and midsize organizations. With record breaking speed in transaction processing, improved database management capabilities (support of data compression, enhanced mirroring, new policy based permission management), advanced business intelligence solutions, and enhanced developer productivity through new data types and T-SQL features, SQL Server 2008 further optimizes your IT infrastructure for growth and helps align IT with business objectives. 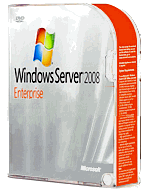 Microsoft SQL Server 2008 is available in 7 editions, Enterprise, Standard, Workgroup, Web, Express, Compact and Developer. Compare all editions. Download Microsoft SQL Server 2008 Upgrade Advisor (Software), SQL Server 2008 Upgrade Assistant (Software), Planning your SQL Server 2008 upgrade, and the Upgrade Technical Reference Guide (2008). Download the Free SQL Server 2008 Express Edition (available for 32 and 64 bit). Upgrading to SQL Server 2005. With up to 35 percent faster transaction processing, advanced business intelligence solutions, and enhanced developer productivity, SQL Server 2005 optimizes your IT infrastructure for growth and helps align IT with business objectives. Download The Business Value of Upgrading to SQL Server 2005 (Word Doc), Microsoft SQL Server 2005 Upgrade Advisor (Software), SQL Server 2005 Upgrade Handbook and the Upgrade Technical Reference Guide (2005). Microsoft SQL Server TechCenter on TechNet - The best resource for SQL Server database administrators is the SQL Server TechCenter, which focuses on technical information for DBAs and IT Professionals. SQL 2005 Features at a Glance - see in one page what Microsoft SQL Server 2005 has to offer. SQL Server 2005 Edition Feature Comparison - One of the most important SQL Server 2005 references is the feature comparison chart for the different editions of SQL Server 2005. SQL Server 2005 has new Express and Workgroup editions next to the classic Standard and Enterprise editions; plus you will want to see which editions of the product support various new features. SQL Server 2005 Express - You can get first-hand experience using SQL Server 2005 in your own environment by downloading SQL Server 2005 Express for free. In addition to being a great developer�s database, SQL Server Express includes many new SQL Server 2005 features, such as CLR integration, new T-SQL commands, and the new XML and varbinary(max) data types. SQL Junkies (Now DrDobbs). Large number of personal Blogs by SQL Server Professionals and Microsoft employees. SQLBlog.com - The SQL Server Blog Spot on the Web has over 25 active bloggers writing about SQL Server. SQLServerCentral Blogs is the community blog by SQLServerCentral.com (now owned by RedGate). The most active writers at SQLServerCentral Blogs are K. Brian Kelley, Steve Jones, Phil Cart, Andy Warren, Haidong Ji, Kathi Kellenberger and Andy Leonard. SQLAdvice.com Blogs is a MS SQL Server related blog with various authors of the SQLAdvice.com community. SQL Magazine Feed by Penton Media. A SQL Blog by the editors of SQL Server Magazine. Peter Wards Blog and SQL Server Newsletter, Wardy IT Solutions Australia. Nick Barclay's blog about Microsoft Business Intelligence and SQL Server. SQL Server Central - Tons of Articles, Discussion Forums, 100s of free Scripts and Stored Procesdures Source Code, SQL Server Tools and Add-Ons, SQL Server Standard Magazine, Great e-Books. For the access to the articles and forums is an Account required (FREE). SQL Server Performance - SQL Server Resources, tons of SQL Server related Articles and more. SQLJunkies (now Dr.Doobs Database) - If you want to learn more about the development features of SQL Server 2005, check out the blogs at SQLJunkies.com. In addition to technical articles, the SQLJunkies site has an extensive list of blogs, including some from Microsoft SQL Server 2005 developers and program managers. SQL Server Magazine - SQL Server Magazine's Web site, SQLMag.com, has an extensive collection of technical articles and columns by renowned SQL Server authors that can help you learn the ins and outs of SQL Server 2005. Itzik Ben-Gan provides a guide to the release's new T-SQL features; Microsoft Senior Product Manager Matt Nunn writes a Preparing for SQL Server 2005 column; and other industry experts step you through developing CLR database objects, getting started with SSIS, and more. Database Journal - Database (SQL, Oracle etc.) News and Articles. see MS SQL features. DBASupport.com is like Database Journal a resources website for DBAs by Jupiter Media. SearchSQLServer.com at searchsqlserver.techtarget.com, Tips, Whitepapers, Guides, News, Webcasts, Experts. SSWUG.org - the SQL Server Worldwide User Group Help Center Site. 100s of scripts, discussion boards, articles, reviews, e-mail discussions and more. Codeplex Project Community - List of projects tagged with "SQL Server". Devdex.com (Developersdex) SQL Server resources catalog. Lists of articles, software, forumes and other MS SQL Server related resources. DBAzine.com SQL Server Section with tons of articles to SQL Server. SQLPass.org SIGs - The PASS Special Interest Groups (SIGs) are forums where SQL professionals from around the globe can communicate with others who have similar interests and face similar challenges. MSDN Forums for MS SQL Server Developers, DBAs and Beta-Testers. SQL Server Central Forums a very active developer community to Microsoft SQL Server 2000 and 2005 (free Membership required to read and post). SQLServer.Org.Au, the Australlian SQL Server User Group provides a number of SQL Server related resources, such as blogs, forums, articles, jobs openings, news and events. Tek-Tips.com Forums to Microsoft SQL Server programming, T-SQL, Stored Procedures, Fulltext Search, SSIS etc. MS SQL Server Zone at Expert-Exchange.com. Entrance page to all SQL Server related Questions and Answers. Get help from other experts and answers to your specific problems and questions. SQL Server Forums and Communities for Programmers and Database Administrators. SQLSecurity.com provides FAQ and tools to SQL Server security, sql injection, security check lists, audit and lock-down scripts. It also offers community forums to discuss SQL security and SQL versions. SQL Q&A at WindowsITPro.com - Over 300 questions with corresponding answers related to SQL Server. plus access to 2,000+ articles online at SQLMag.com. If you know about any Print or e-Magazines that are exclusively about MySQL Server, please send me an email. MySQL Server is often covered by the various Open Source related Magazines, but they are not primarily about MySQL Server. The PHP Magazines cover at the most. You can find those at my Web Development Resources Page. SSWUG.ORG Broadcasts - SSWUG Radio Podcast - the most comprehensive SQL Server and overall database-oriented podcasts on the web! - SQLServerCentral.com New Articles RSS Feed. - SQLAdvice.com Blog RSS Feed. Microsoft TechNet - It's Showtime - Videos from Microsoft Events, Keynotes and Sessions such as SQL Pass. SQLZoo.net - A Gentle Introduction to SQL. Interactive SQL tutorial to learn about MS SQL Server, Oracle, MySQL, IBM DB2 and other SQL based database platforms. SQL Tutorial by W3Schools.com, learn how to use SQL to access and manipulate data in Oracle, Sybase, SQL Server, DB2, Access, and other database systems. SQL Server Integration Services - SQL Server 2005 introduces Integration Services (SSIS), the replacement for Data Transformation Services (DTS). Learning about SSIS will be a top priority for administrators, and this valuable site includes links to blogs from business intelligence (BI) developers and details some SSIS best practices learned from real-world projects. Code @ MSDN / SQL Server - The Microsoft SQL Server Samples and Community Projects (MSDN Code Gallery) provides sample source codes for MS SQL Server 2005 and SQL Server 2008. MS SQL City - Articles, FAQ, Scripts, Tips and Test Exams for IT professionals using Microsoft SQL Server. SQL Server Best Practices - Get the real-world guidelines, expert tips, and rock-solid guidance to take your SQL Server implementation to the next level. SQLServerDataMining.com by the SQL Server Data Mining team provides the SQL Server community with access to and information about available data mining features, tools and resources, including data mining add-ins for Microsoft Office. Narayana Vyas Kondreddi SQL Resources is a personal resources site by 'Vyas' with tons of useful articles and sample scripts. DevASP.net - scripts for for AS.NET developers for SQL, list of tools, articles, web casts, knowledge base and more. SQL-Scripts.com - Scripts for MS SQL Server, MySQL, DB2, Oracle, PostgreSQL, Firebird, SQLite and MS Access. Microsoft E-Learning SQL Server 2005 1-year subscriptions to training packages, Workshops and Courses for Database Admins, Database Developers and Business Intelligence. Prices range between $99 and $250. Microsoft E-Learning - Learn SQL Server resources, like books and SQL Server training courses, SQL Server technical certifications and more. SQLServerCentral.com - Advanced Training Classes for SQL professionals. Expert Knowledgebase - the Expert Answer Center for SQL Server at TechTarget.com. MS SQL Server Events and Webcasts - SQL Server upgrade your skills to 2005. Get ready for SQL Server 2005 with a 10-part TechNet educational Webcast series that covers everything from SQL Server 2005 tools, security enhancements, and high availability features to replication and scalability. SQL Server 2005 Virtual Hands-On Labs from Microsoft TechNet - You can get first-hand experience using some of the new features in SQL Server 2005 by going through the 11 different SQL Server 2005 Hands-On Labs via Web Browser. These labs cover topics such as SQL-CLR, T-SQL, and Reporting Services. This site also contains links to technical papers and blogs and requires a MS Passport account and MS Internet Explorer V5.0 or higher. ExamForce.com SQL Server Exam training and preparation. ExamForce is part of Adaptive Learning Systems, Inc.
SQLCourse2.com - Advanced Online SQL Training. The Sequel of SQLCourse.com. Follow along as Paul Nielson (author SQL Server Bible, Speaker at PASS etc.) 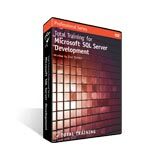 presents 8 hours of Microsoft SQL Server 2005 development instruction. This training is the fastest way to get up to speed quickly with T-SQL development, SQL Server basics, best practices, dozens of targeted examples, and sample code. If you design or develop SQL Server 2005 databases, this video is for you. Try before you buy with the Total Training FREE 7-day guest pass! Subscribe to my FREE and Public Technology and Development Events Calendar powered by Google Calendar. You can add the Calendar to your existing Google Calendar, subscribe to the RSS Feed or import the iCAL feed into any Calendar application that supports Apple's Internet Calendar standard. If you would like to see which (recurring) Events I have currently covered by my Calendar, check my List of Important Technology and Development Events. One-Time Events are not listed there, but are added to the calendar. If any event is missing, let me know about it.